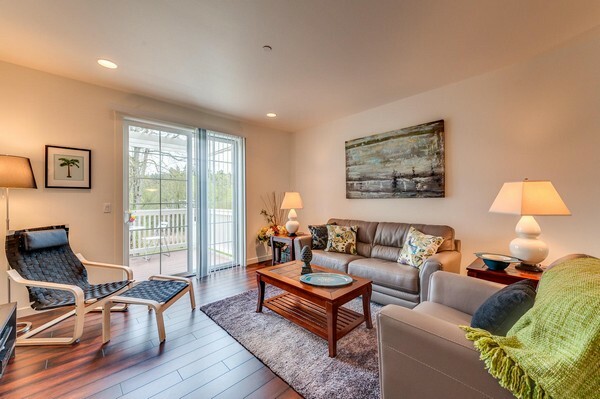 Newcastle Lake Boren – Modern town home, 2 bedrooms – 2 full baths for short term rental. 30 day stay minimum. Rent pro-rated daily thereafter. 2 car tandem garage. Private and quiet with deck overlooking natural scenery. All linens and housewares provided. Fully furnished and appointed. Just bring your suitcase! With respect to my temporary housing, `it is absolutely amazing` and Coral service is wonderful. She met me at the property, gave me a complete tour and even had every imaginable desires in place including necessary personal items and salt on the steps to prevent any slips or falls. The property is simply amazing, but more importantly in a safe location which was very important to me since I am accommodating the property alone for the next 2 months. Again, thank you very much and I am truly satisfied.